14 Best Romantic Places In Munich For Every Couple Around In 2019! 14 Best Romantic Places In Munich To Surprise Your Partner On Your Next Vacay In 2019! Munich is a city with rich history, old school vibes, jaw-dropping new-classical architecture, and a lot of parks. It has every element needed for a romantic getaway. Even though Munich is a city, there is no shortage of quiet and peaceful romantic places. 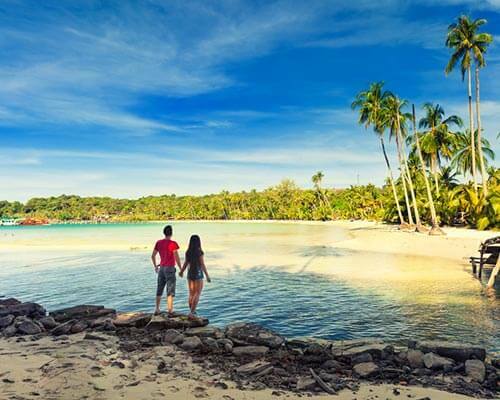 Moreover, there is also everything that an outgoing, adventurous couple would like. There are dancing and cocktail parties, as well as quiet lakeside visits. There is no dearth of romantic places in Munich. Whether you’re on a lookout for a peaceful romantic vacation or with a hint of adventure, this city has everything within its boundaries. 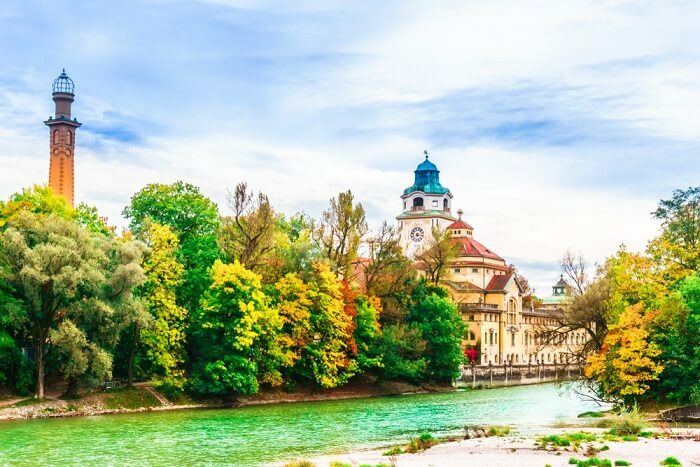 There is something for everyone and here are some of the suggestions that will make your visit to Munich extra special. So, scroll down to know what all awaits you here. 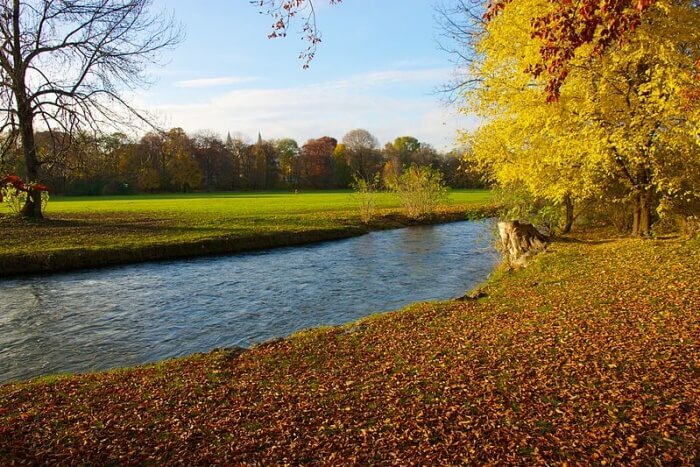 The English Garden or the Englischer Garten is a romantic getaway for couples all throughout the year. 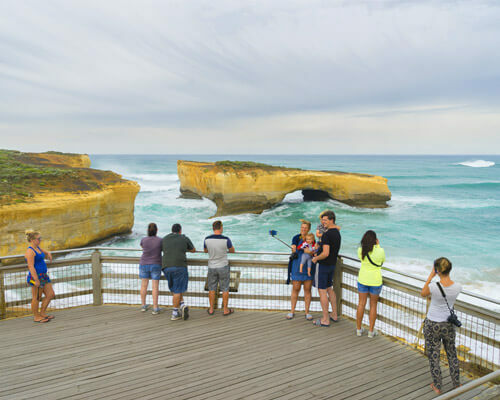 This famous park comes with the rolling landscapes of the English countryside and offers a ton of things to do. You can go paddling, have a picnic, spend time at a beer garden by the water, or you can just spend time walking and sitting on the benches. The place itself is beautiful and is a perfect place for couples who appreciate calm and quiet locations. To experience the best parts of the Bavarian capital, you must visit the old town. There are a lot of walking trips that are organized in groups, or you can just go with your partner. 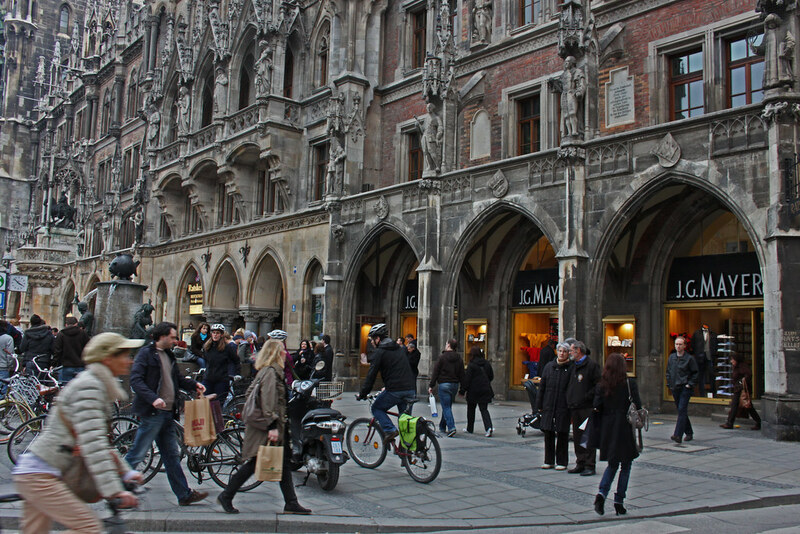 The old town is one of the most romantic spots in Munich– filled with the old churches, lively markets, and the famous Hofbräuhaus beer hall. The rustic, old school vibes of this place can be quite romantic. You can see the St Peter’s Church, Frauenkirche, and the Old Town Hall. 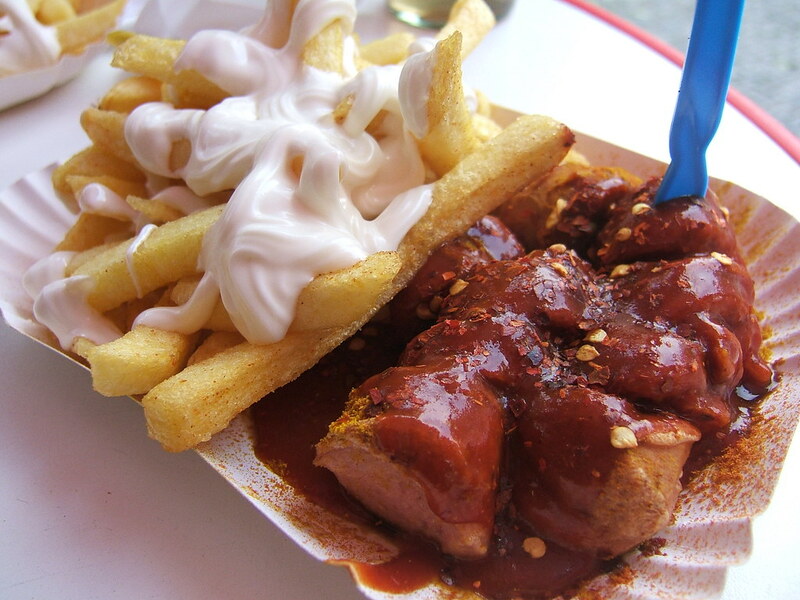 Also, do not forget to go to the Viktualienmarkt food market as well as the Marienplatz and Odeonsplatz. A local guide can help you. There is no shortage of romantic dinner places in Munich. If dining in the dark is your thing, then you can check out Zum Blinden Engel. They offer an evening of dining in the pitch black that starts from 7 PM onwards and last for two and a half to three hours. The waiters here are blind or visually impaired and the set menu will cost you €49.60, excluding the drinks. The waiters will guide the guests around the space. There are tons of destinations in Munich for cocktails. However, Pusser’s is one of the most romantic destinations in Munich in Germany, Europe for cocktails. They have the classic American Bar Culture and you have gifted pianists playing at the bar. It opened back in 1974 and you can find pianists playing from Thursday to Saturday. However, in order to listen to the piano, you will have to make prior reservations. 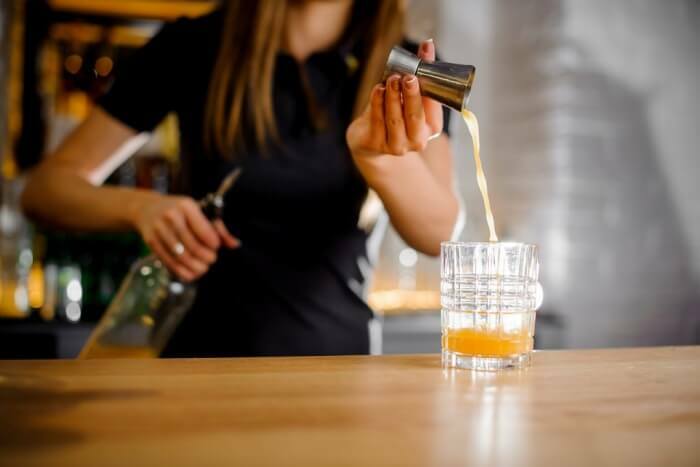 If you are in the mood to try something strong, you can also have their trademarked drink – the Pusser’s painkiller, which is both strong and tasty. Constructed for the summer Olympics back in 1972, the Olympiapark provides a nice view of the city. You can simply sit on the grass. If you are visiting during the summer months, make sure that you have something to drink with you. If you are looking for a nice place to see the sunset along with your partner, then this is it. 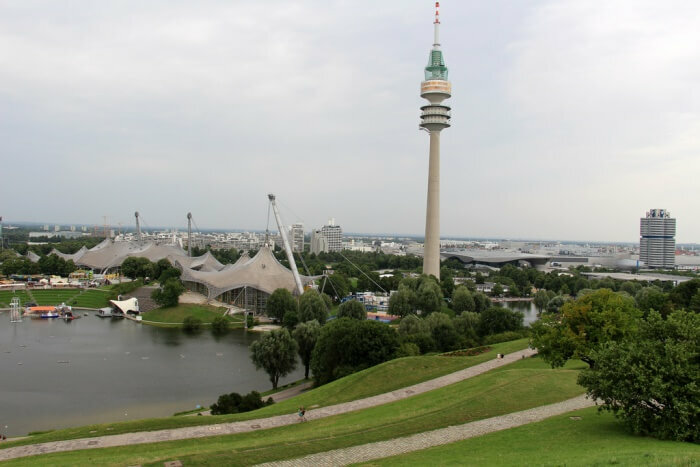 The Olympiapark is a great place to simply sit and chat or just have a long romantic walk. You can view the sunset from the Olympia park, or you can simply go to the nearby Olympic tower from where you can see the city gradually light up after the sunset. Not only is it beautiful, but it can also be the best place to declare your love for your beloved. If you are planning on a proposal, then this is the place in Munich where you would want to do it. The smaller cousin of the English Garden, and less popular, the West Park is just 10 minutes from Marienplatz. This place is often overlooked by tourists and you can have a peaceful picnic here. Tucked away inside this park is a beautiful Japanese and a Thai garden. You can even visit the local bakery that’s nearby to get some Steckerlfisch. If you are visiting during the summer, then you can also enjoy some outdoor movies in the region. Nothing is more romantic and sophisticated than visiting art museums. There are a lot of places in Munich to explore modern art. So, if you want to explore the contemporary classics, you can visit Museum Brandhorst. 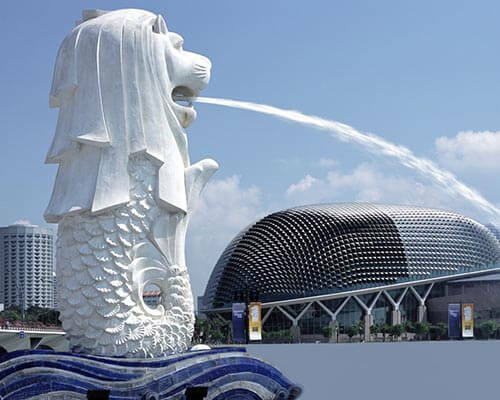 The building itself is a work of art and you will appreciate the architecture and décor. The modern gallery is now home to some of the most popular works of modern art. 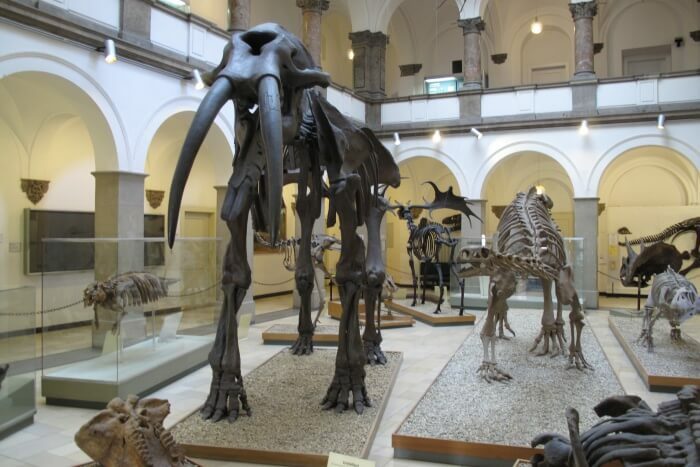 The entry is only one euro, like that of most other museums in Munich. However, it stays closed on Mondays. 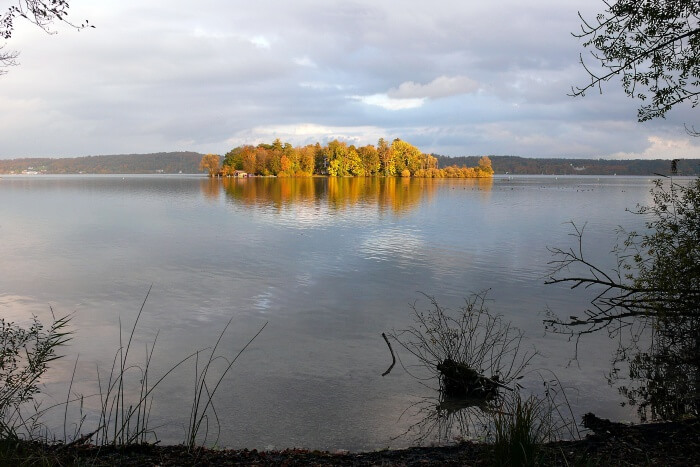 Germany’s fifth largest lake is also a great romantic destination. It has been mentioned in T. S. Elliot’s poem - The Waste Land. It’s an ideal place to bathe in the sun and to enjoy the view. Also, if you are planning a proposal, then this is also a great place to do it. So, while you’re out and about in this scenic city, don’t forget to spend some time amid this soothing lake! The Isar river that flows through the city also offers Munich a peaceful beach. You can simply sit by the water and enjoy a beer with a loved one. 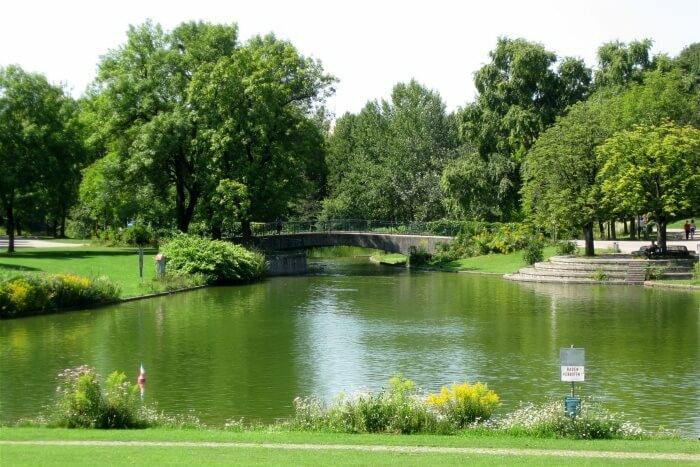 It is a perfect romantic spot and a lot of people in Munich come here to get in touch with nature. The Isar is also a place to take lovely photographs. This will surely make your holiday more memorable. If you’re looking out for a decent place in Munich where you groove with your partner, then Nachtkantine can be your real saviour. 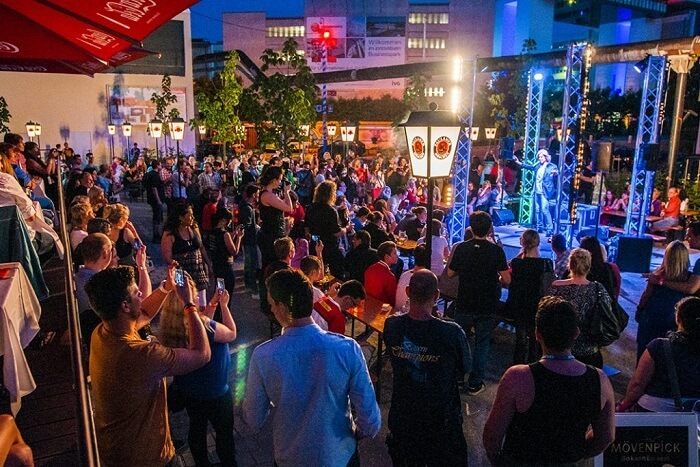 Located at the creative quarter of the Ostbahnhof, this is indeed a haven for the music lovers. This place hosts some of the best dance themed nights where one can witness the extravagant performances of Salsa and swing which is matched up with live music. There is nothing more romantic than going to watch a movie which seems like a perfect date for the couples. 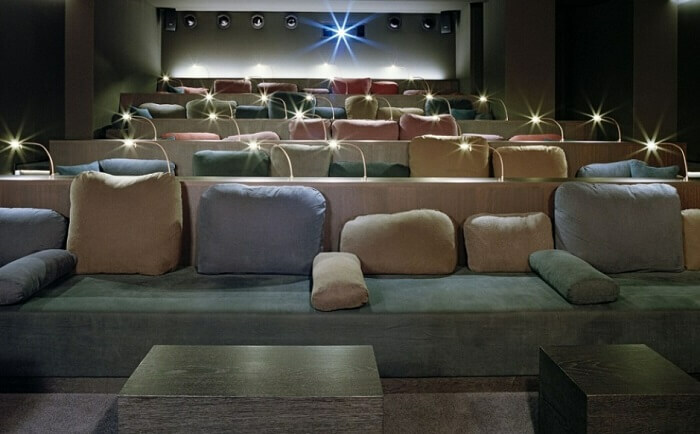 While it may seem like that watching a German movie will be difficult, but this movie lounge screenplays the original versions in English and definitely sticks as one of the best romantic places to visit in Munich. And what can be better than a comfortable couch seating to watch the movie. Romantic, isn’t it? 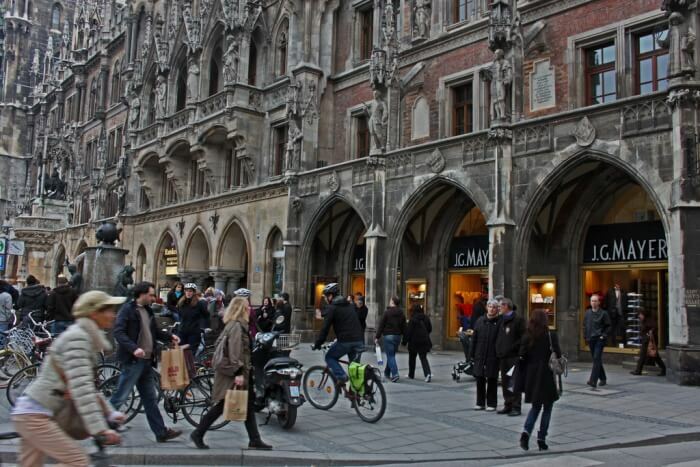 Munich is one of the romantic cities in Germany which appears like a doppelganger of Venice. 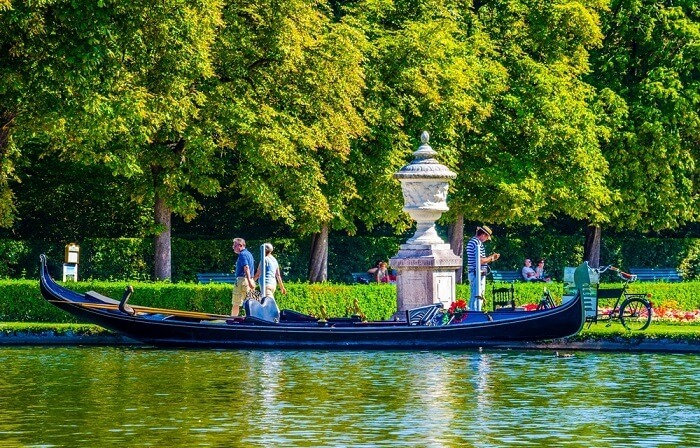 Going beyond the architectural beauty of the city and art museums, the couples can go and take a romantic Gondola tour. Yes, that’s possible only at the Schlosspark Nymphenburg and it’s also cheaper than Venice. 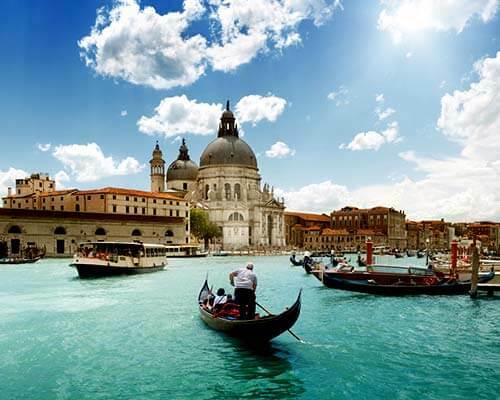 So are you ready to take the experience of Venice sitting in Germany? 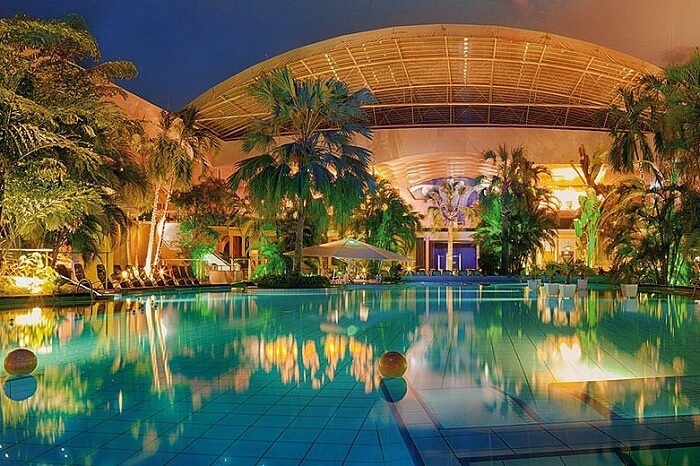 Relax with your partner at the Therme Erding which is the largest thermal bath complex located in Europe. Not only this, the place is also a home to Europe’s biggest waterslide park spread across an area of 14 hectares (36 acres) which makes it one of the most romantic places in Munich. The entire has a lot of things to make your visit all worth. From dozens of pools, saunas and meditation spaces, this place has everything under one roof where you can go with and spend some quality time with your partner. 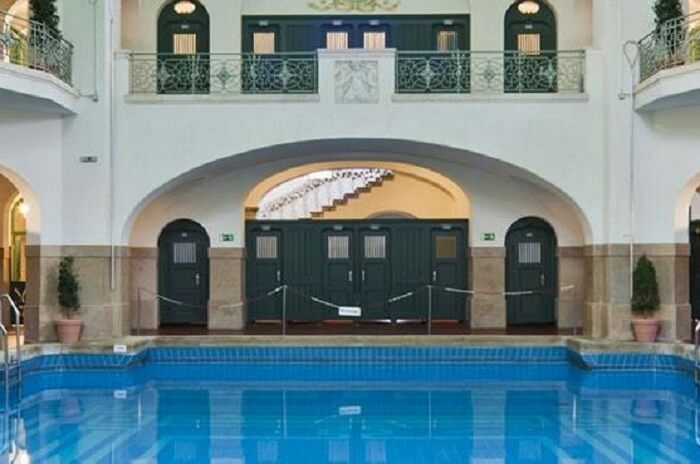 For the couples who crave for unique art can go and explore the Mullersches Volksbad which was built in 1901. This place features an Art Nouveau design which makes it Europe’s one of the strikingly amazing swimming pool and sauna complexes. Walk down the two wide stairs which leads to the two pools for experiencing the traditional German bathing culture. Munich has something for everyone. 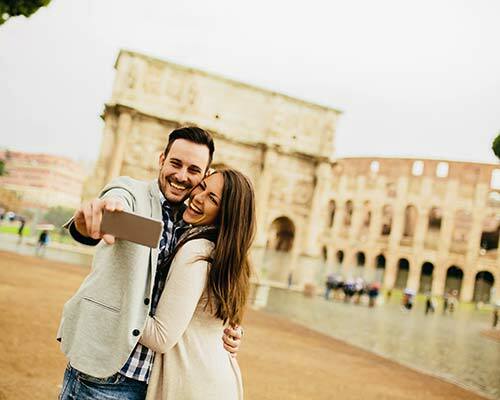 The city offers very simple ways of spending romantic moments with your lover. Given you choose the right activities, this Bavarian city will make you fall in love all over again. So, what are you waiting for? 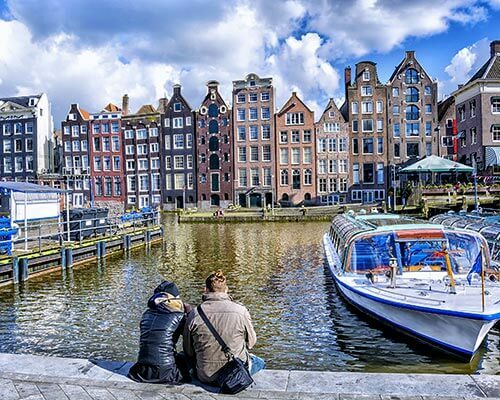 Plan your trip to Europe for an extravagant tour of this charming land with your loved ones!